Many important personal and financial activities require legal assistance. When the time comes to hire a legal expert, your confidence is the first priority. Hiring someone with an outstanding reputation is the key to successfully completing your legal task without any problems. This is why individuals in need of a lawyer in Yucca Valley and the Morongo Basin look to the Ficara Law Office. The Ficara Law Office is known for getting things done in a fast and effective manner. For over 30 years, the Ficara Law Office has aided in hundreds of successful cases, as well as helped thousands of people process and complete legal documents in a timely fashion. When there is an urgent matter at hand, the Ficara Law Office works overtime to assure that the legal process is completed on time. Built on a firm belief that legal proceedings do not need to be stressful, their staff delicately handles all of the heavy work so that all the client has left to do is prepare for success. One of the most common concerns that people have when seeking legal assistance for their personal or financial proceedings is knowing whether or not they can trust the lawyer they hire. The individuals behind the Ficara Law Office understand this and strive to establish a unique relationship with each of their clients that is built on trust and understanding. Because many personal legal issues arise under stressful or unexpected circumstances, they do their best to offer empathetic stress-free delivery in a timely fashion. When it feels as if the weight of the world is on your shoulders, Ignazio Ficara can assist you in carrying the burden, providing personal attention, experienced advocacy, and knowledgeable advice. Never again will you feel as if the legal process is overwhelming you. 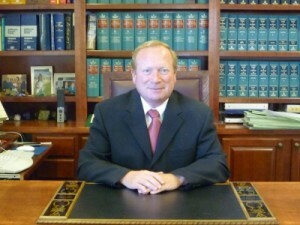 When you hire Ignazio Ficara to handle your case you can enjoy simplified quality legal assistance with confidence. With an in-depth understanding of the complexities and requirements involved in probate cases, the Ficara Law Office offers the competent legal representation you need, while handling your case with the respect and compassion you deserve. Knowing when you require legal help is the first step in the legal process. Many people do not have the knowledge and skill set to successfully represent themselves. Instead, they require a legal professional to walk them through the procedures. Despite the common misconception, not all legal proceedings need to be negative experiences. With the right attorney supporting you, any legal task can be accomplished without incident.